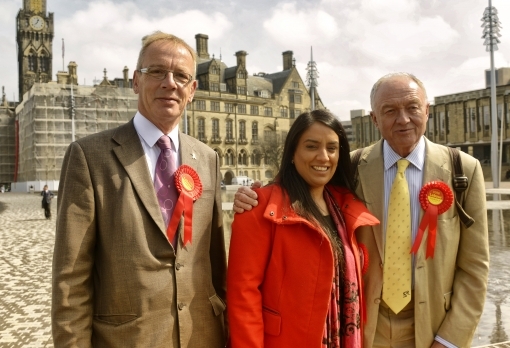 One of the most exciting campaigns in the general election in May was fought in Bradford West. Political outsider Naz Shah, standing for Labour, ousted George Galloway after a dramatic contest that descended into personal recriminations. As the dust settled from the election. 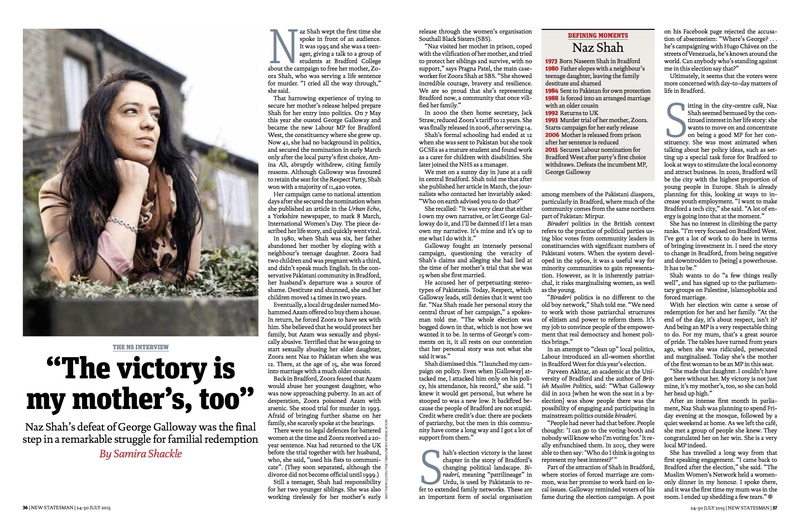 I went to Bradford to interview Shah for the New Statesman. Here’s the opening, and you can read the rest online here. Naz Shah wept the first time she spoke in front of an audience. It was 1995 and she was a teenager, giving a talk to a group of students at Bradford College about the campaign to free her mother, Zoora Shah, who was serving a life sentence for murder. “I cried all the way through,” she said. That harrowing experience of trying to secure her mother’s release helped prepare Shah for her entry into politics. On 7 May this year she ousted George Galloway and became the new Labour MP for Bradford West, the constituency where she grew up. Now 41, she had no background in politics, and secured the nomination in early March only after the local party’s first choice, Amina Ali, abruptly withdrew, citing family reasons. Although Galloway was favoured to retain the seat for the Respect Party, Shah won with a majority of 11,420 votes.